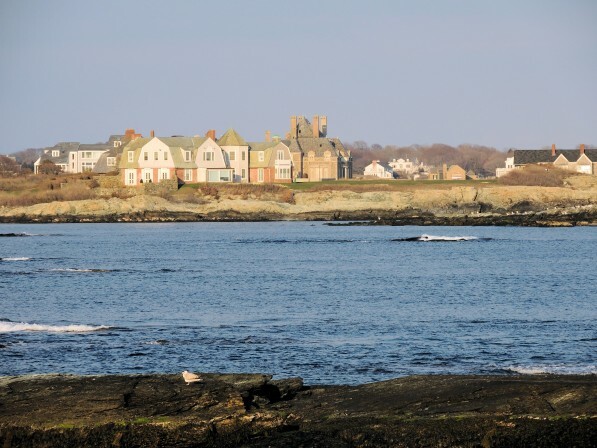 Newport, RI, is known for mansions and yacht races, but one of its best attractions is ten miles of road along the ocean. Here you can view both nature and architecture at their best. From houses built in the Gilded Age, at the beginning of the mid-19th century, to summer homes that rival those of Palm Springs. 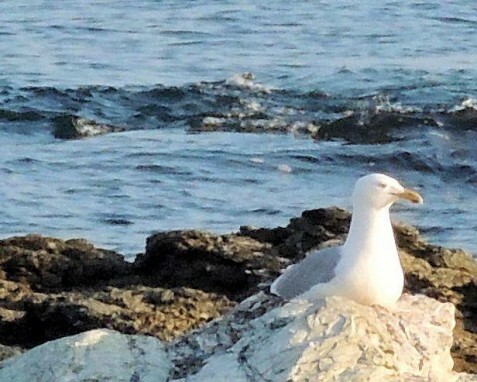 You may see seals and seagulls, or huge ships coming into Narragansett Bay to unload their cargo. There are small islands just offshore, and public access to a shoreline with plenty of tidal pools to explore. Plus, the parking is free. Ocean Drive is the main stretch of road along Newport’s Historic Ten Mile Drive, which starts on Narragansett Avenue in downtown Newport, loops around along the coastline, and ends back in Newport at King Park. The Drive is a National Historic Landmark District, so designated in 1976. 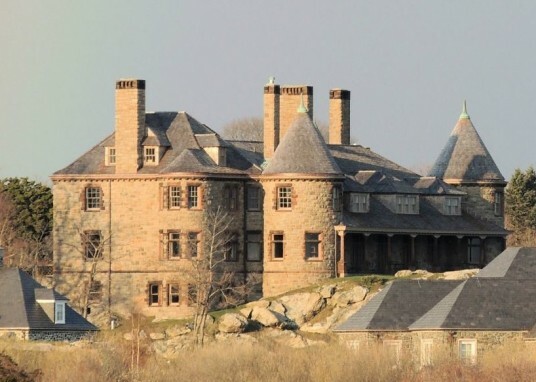 Many of the historic estates at the Newport end are now owned and used by Salve Regina University. Along the way it runs along both public and private beaches. Gooseberry Beach is open to the public, but you will have to pay for parking. Towards the end the drive passes Fort Adams, open for tours and a great place to view Newport Harbor. We stopped about halfway in, at the eastern end of Ocean Drive State Park, also known as Brenton Point. There is no beach where we were, but a there were rocks to walk on, tidal pools to explore and a seagulls to bother. Ocean Drive is worth the 40 minute trip from Providence, or even the hour and 20 minutes from Boston. You can just drive along the road or spend the day at Breton Point State Park. The park is open year round, from sunrise to sunset, but the restrooms are only open May 1st through October 31st. To get there from Providence take interstate Rte. 195, to Rte. 136 South, to Rte. 114 South (West Main Road), to 138 South, to Broadway, to Downtown Newport, follow signs to Ocean Drive. If you want to spend some time in downtown Newport, get a free downloadable and printable map here.